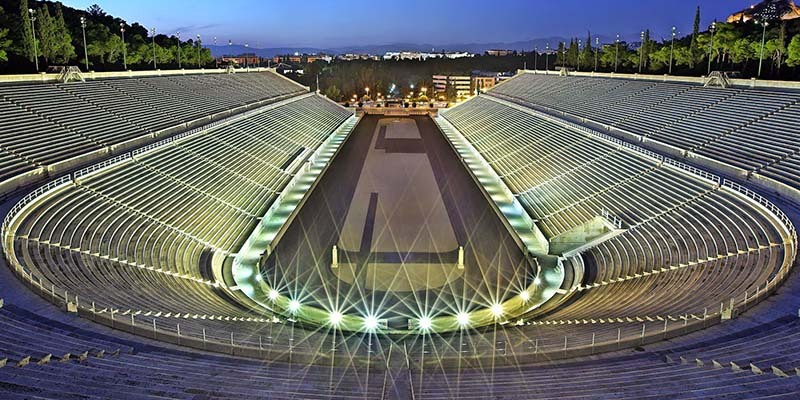 On past some of the Olympic stadiums built for the 2004 games into Athens centre where we first visit the Acropolis, crowned by the Parthenon. 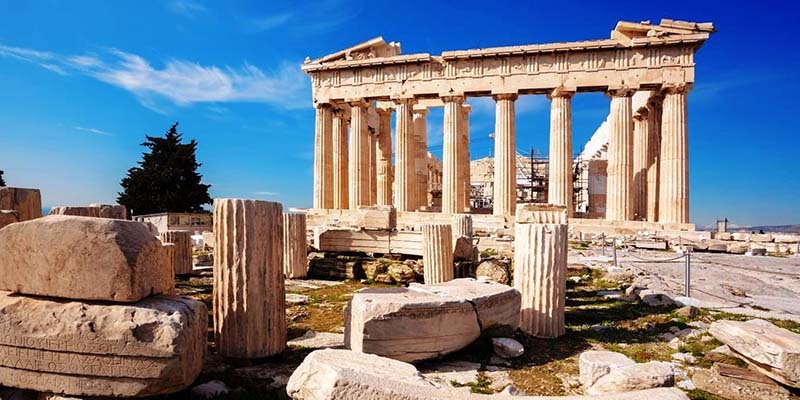 Built in the Golden Age of Athens in the 5th century BC and despite being partly blown up by the Turks in 1700 this is still one of the most impressive buildings of the ancient world. 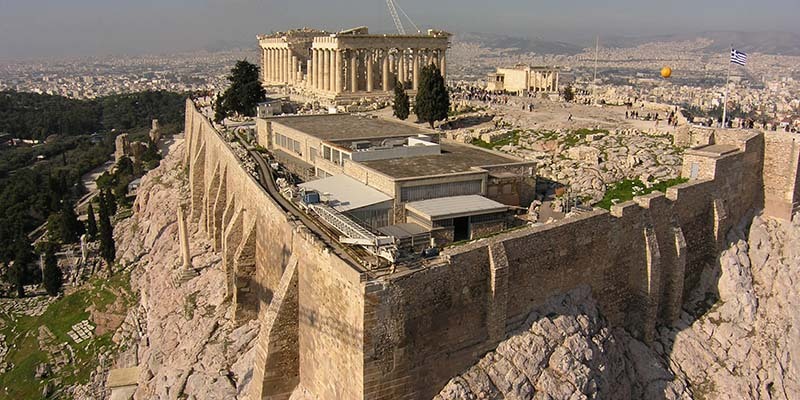 On to the theatre of Dionysos where the great classical plays were first performed and then to the centre to view Hadrian’s Arch and the great Temple of Olympian Zeus and to the Panathinaiko Stadium, built for the first Olympic Games in 1896. 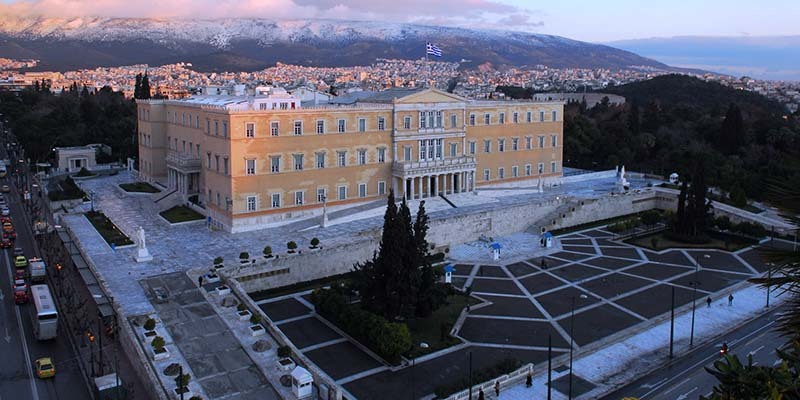 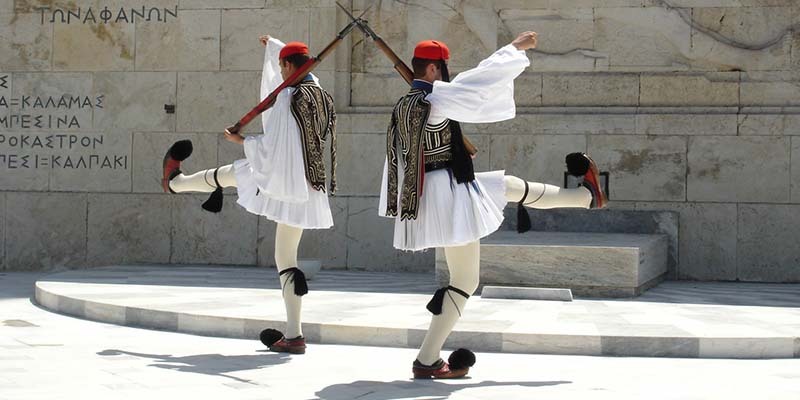 In the very heart of Athens in Constitution Square, the Parliament building and behind it the Royal Gardens and the first Palace of Greece where the kings and queens of modern Greece first resided, where you can watch the changing of the guard (the Evzones). 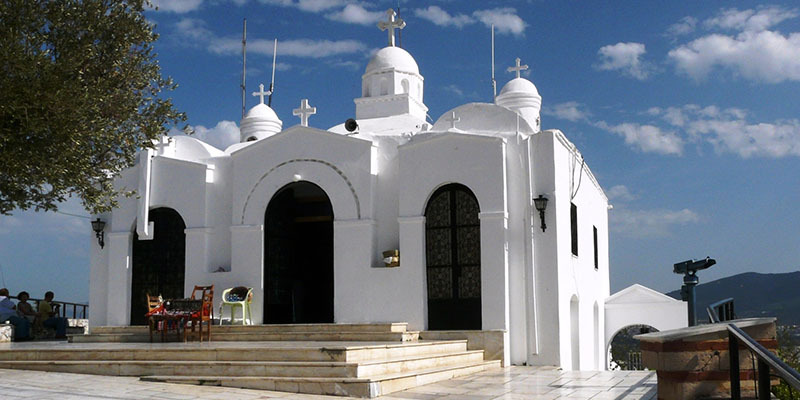 We then ascend the highest hill in Athens, Lykavittos, topped by the church of St. George and a truly magnificent view. 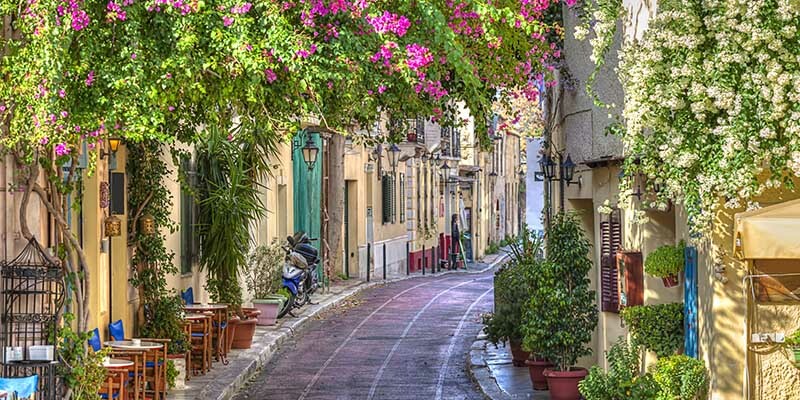 Finally to the Agora, the ancient market place of Athens and Plaka, the old town of Athens, lying at the foot of the Acropolis which is a maze of local artisans, folk culture and inviting shops and restaurants offering every variety of Greek food.